Well done to Penny, Anita, Anna and Andrew D who achieved top 3 placings in the 2018 Grand Prix Series. Andrew, Anna and Penny also won Norfolk County medals for their marathons in 2018. Congratulations guys! Great Yarmouth Road Runners (GYRR) hosted it's most successful 5-mile road race series this year with record numbers entering at least one of the three races. Each entrant generated a 50p donation to the chosen charity for GYRR, which was to support the local cause at the Sandra Chapman Centre. After completing the Viking 100 mile three weeks previous I knew I had to rest to be able to get around the county of Norfolk in one piece. My body needed a rest after a 24 hour run and get over the electrolyte depletion and exhaustion so apart from a parkrun I did no running for 3 weeks. So why run around Norfolk? 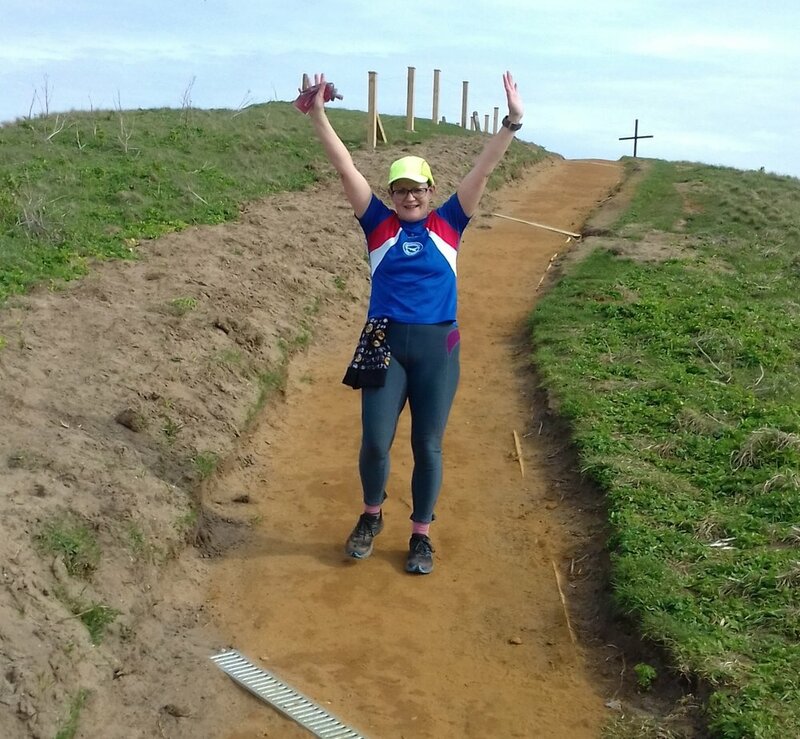 I had run quite a few of the stages of the round Norfolk relay and always considered running the whole route so last year worked out the best way to do it and when. The Easter school holidays seemed perfect for me as then I could the second week as a rest week before heading back to work. Running between 27 and 31 miles a day would get me round in a week from Yarmouth to Yarmouth. I had worked out where I was going to stay and what I was taking and that wasn't much! After 9 enjoyable training weeks running 488 miles since my 85 miles it was time to run another 100 mile. The reason for entering so soon was not to waste 6 months training and also to have a go at a self-sufficient event. This means that competitors need to carry all their food so 5 to 6000 calories to last duration of race, mandatory kit and 2 and half litres of fluid. With only 3 checkpoints to pick up fluid and an additional water point at 13 miles you were not allowed to receive help from anyone giving you food and drink. I relished the challenge although my pack was between 6 and 7 kg in weight. Every year the Bungay Black Dog Running Club race committee awards the Roger Wing Trophy to a runner who completes the Bungay Marathon in a manner they consider best epitomises the ‘spirit of the Marathon’ (ie someone who runs it, and is a bit special). 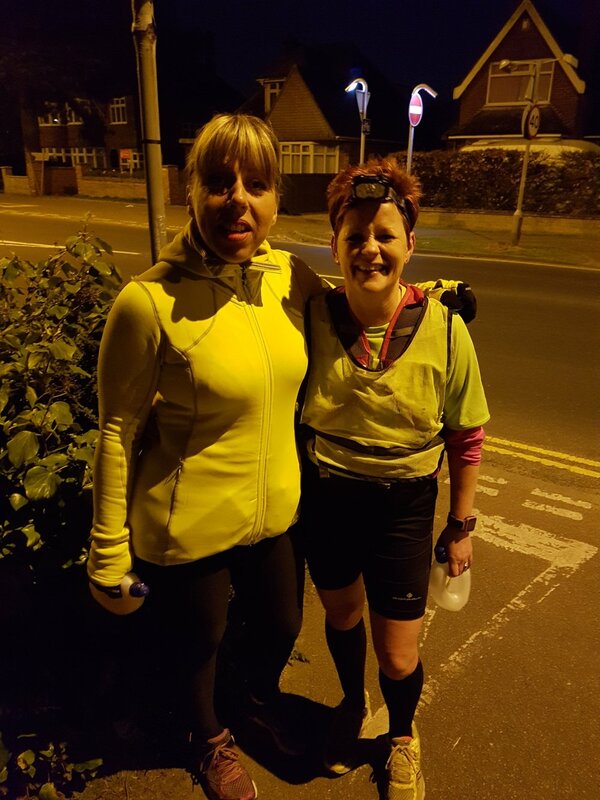 Thank you so much to Cathy, hubby Andy, Lisa, Anna and Jane who supported me on my night training run and to others who text and emailed their support. I completed much more than I thought I would: 48 miles in 9 hours 35 minutes. I felt good all the way round and I can use this positive run as a mental strategy for race day. Many thanks everyone. Full report/entry on my blog.